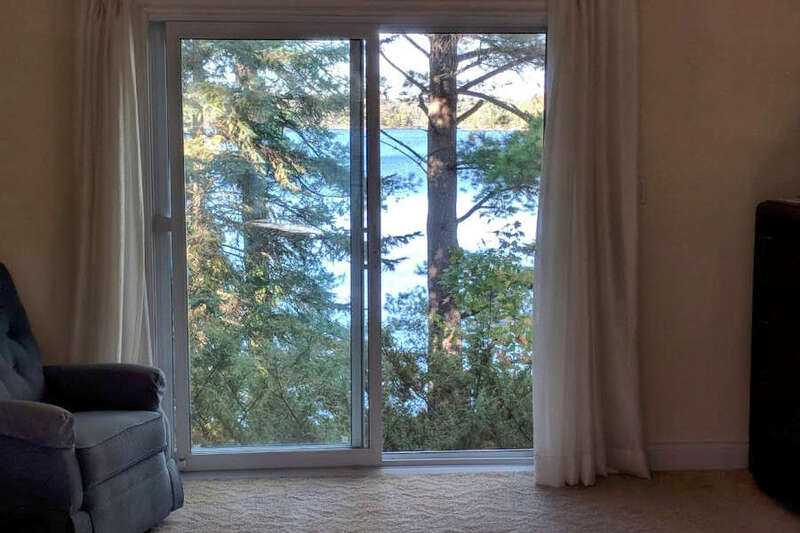 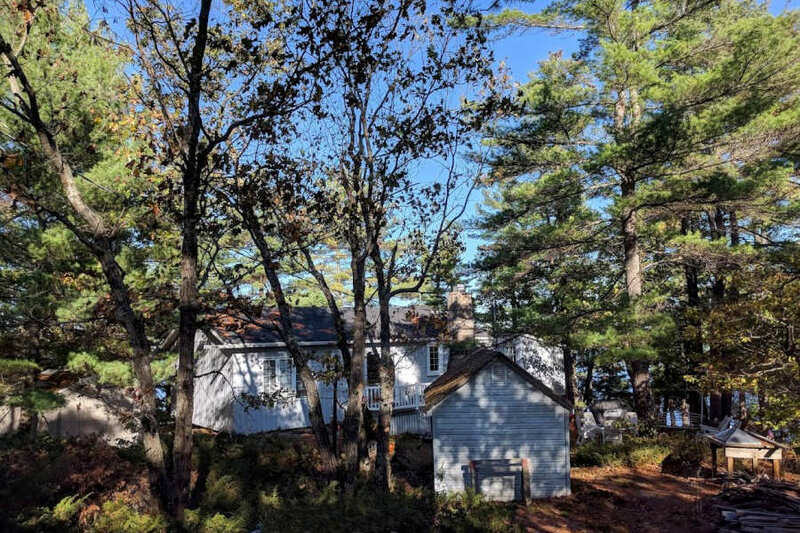 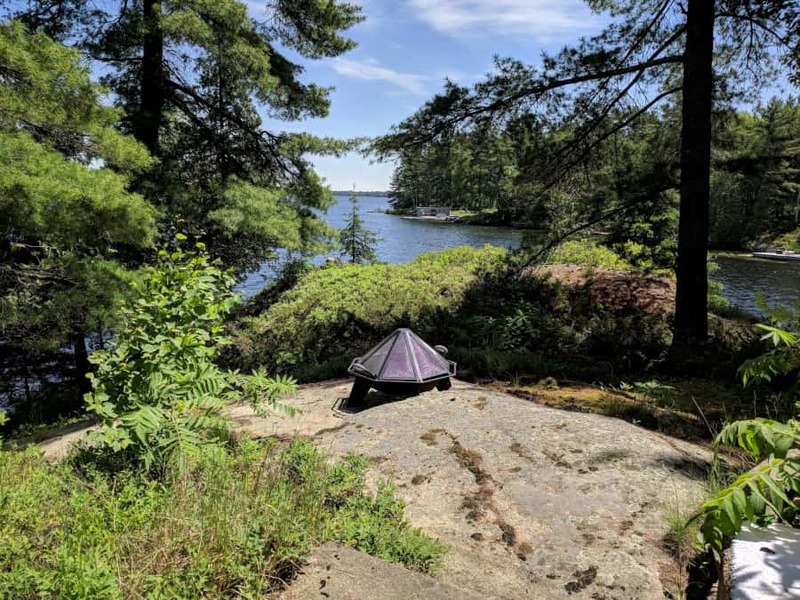 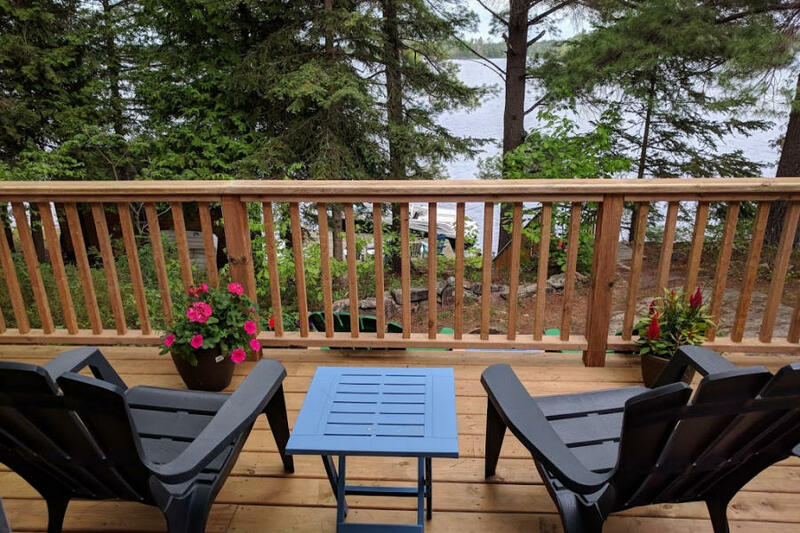 Stoney Lake is considered one of THE lakes for cottagers in the Kawartha's, so imagine having access to a private island with pristine waterfront a short drive from the GTA, on 2 acres of Canadian Shield terrain and only one neighbour! 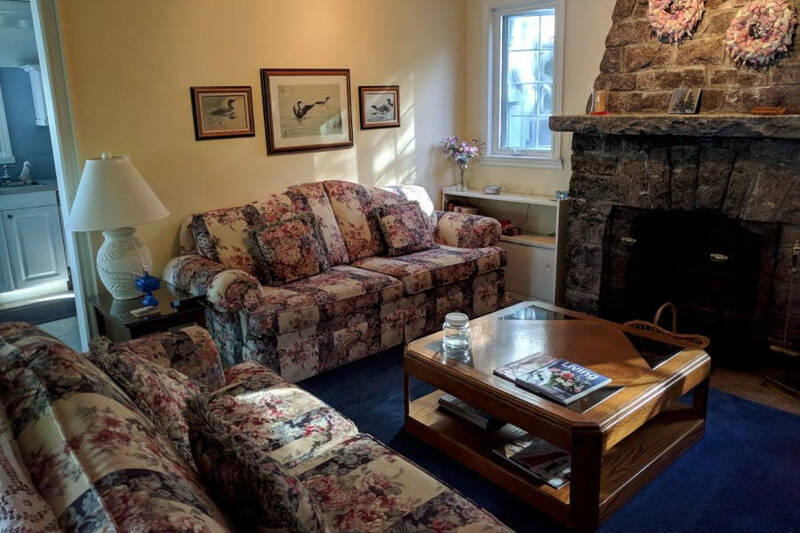 This is the quintessential cottage, rich in over 100 years of history and boasts the most gorgeous stone fireplace and gingerbread Bunkie, you could only imagine in a nursery rhyme. 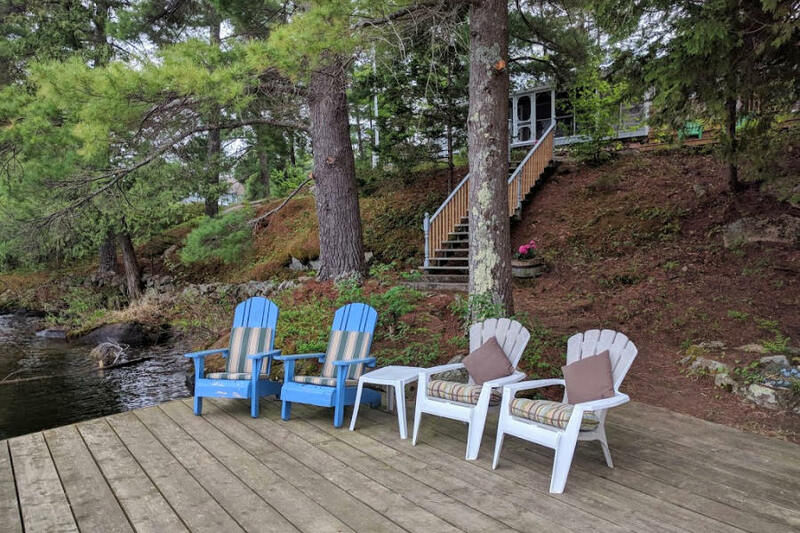 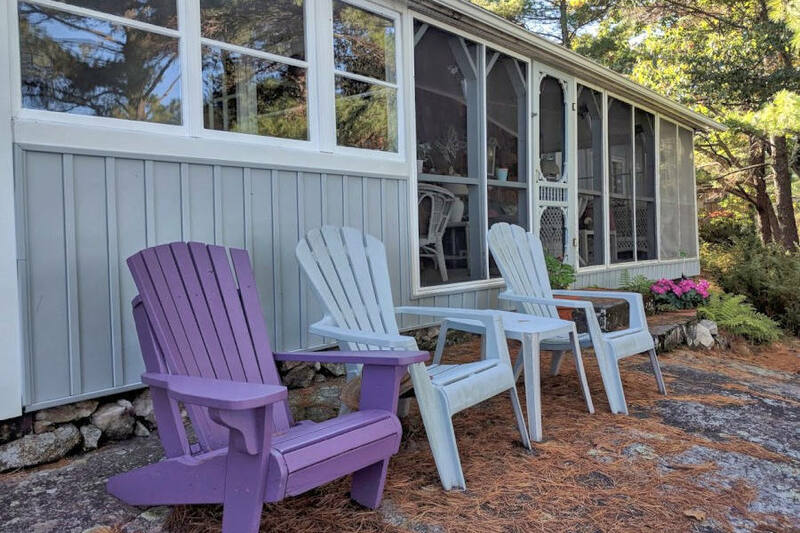 Just a quick 10-minute boat ride from the local boat launch or marina, you'll have two docks to choose from when you arrive and catch your first glimpse of the cottage. 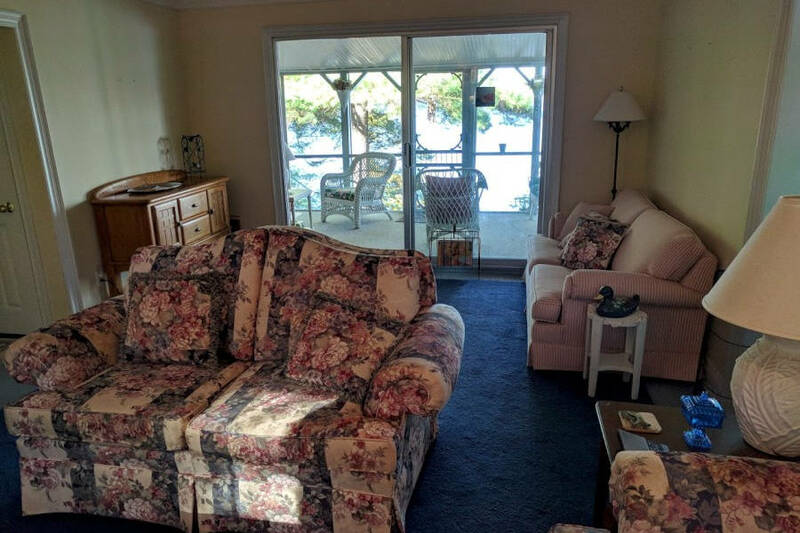 Boat rentals are available for your stay at the Marina or you're welcome to bring your own. 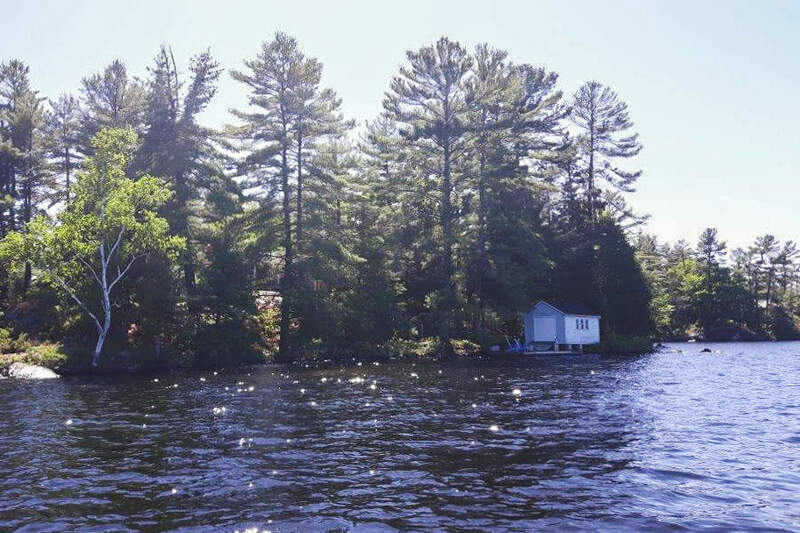 With the deep water, you'll be well set for any size you choose. 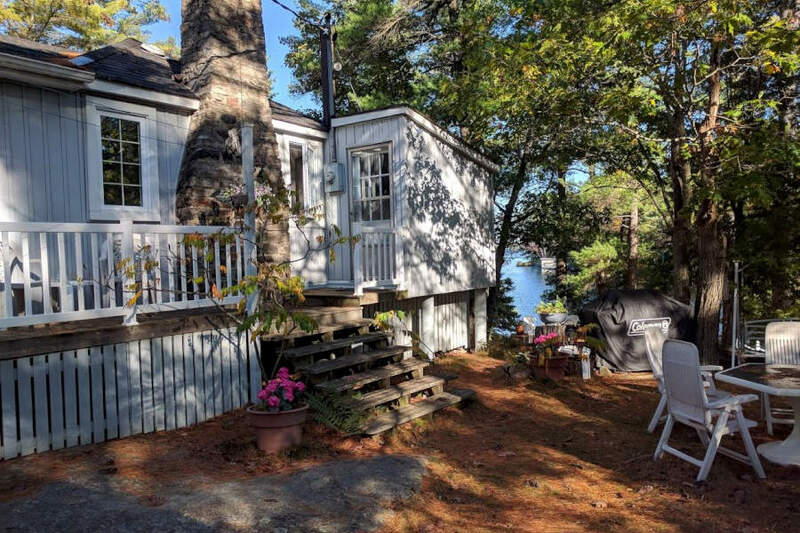 On approaching the island, looking up you'll find the cottage nestled steps up from the shore. 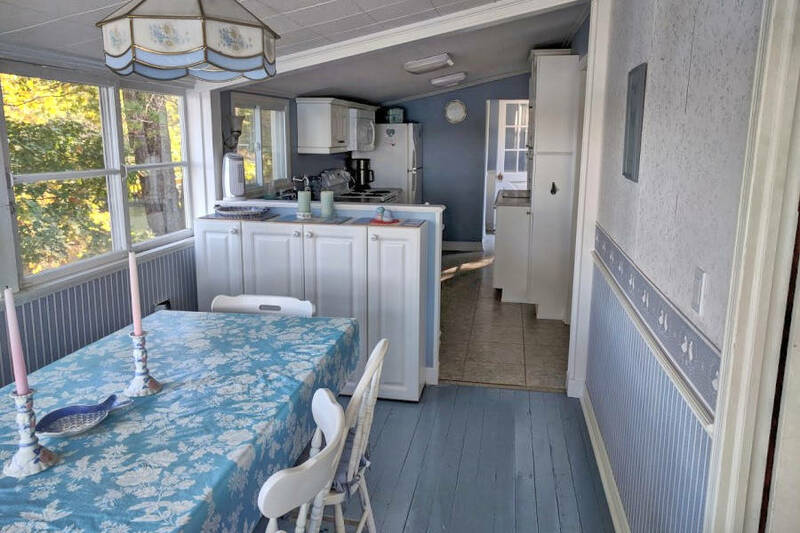 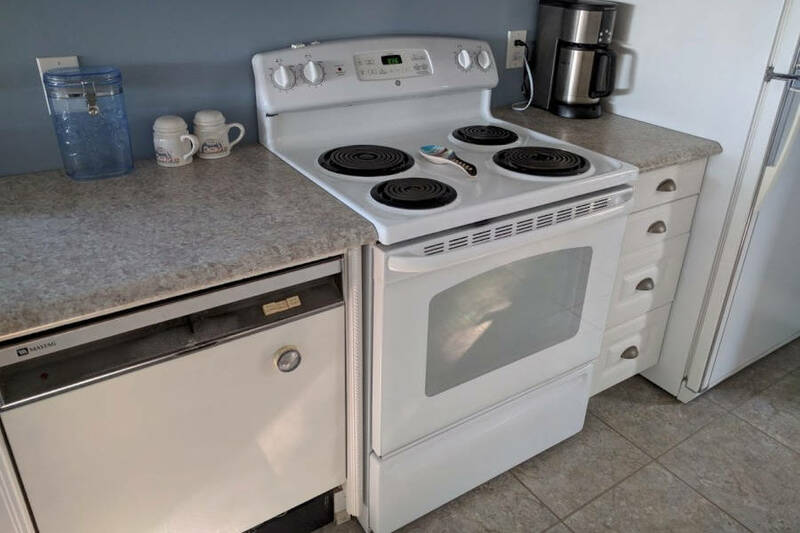 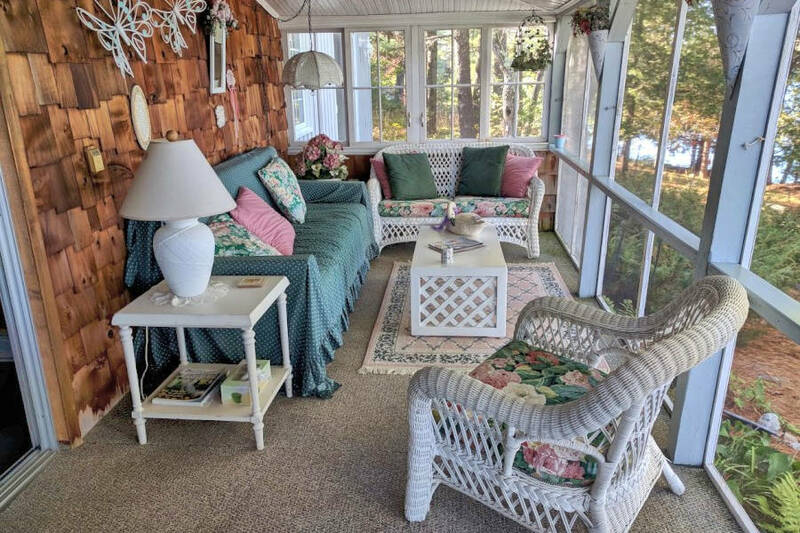 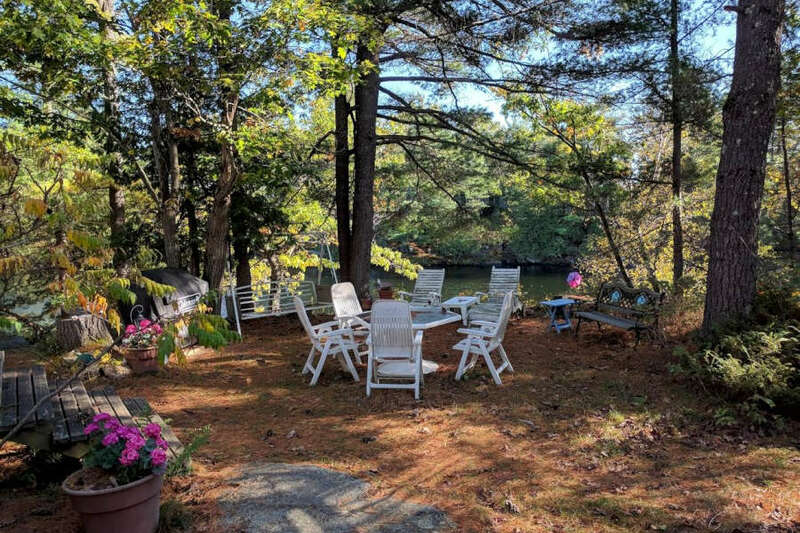 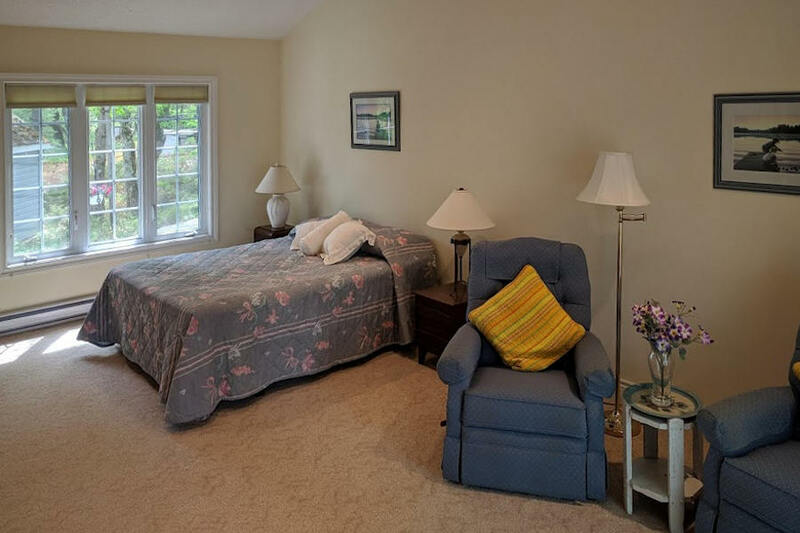 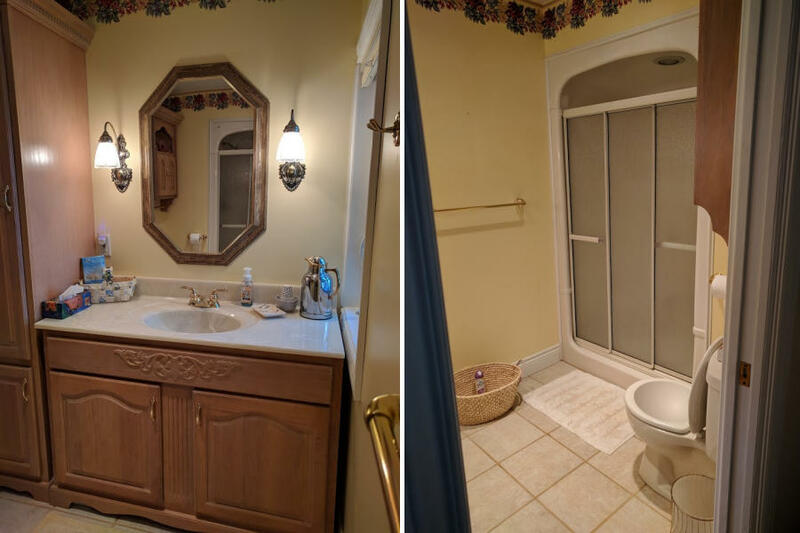 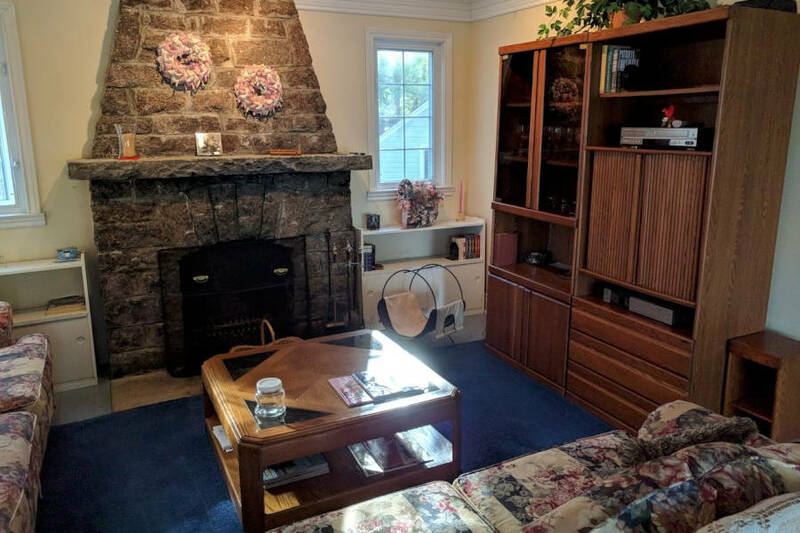 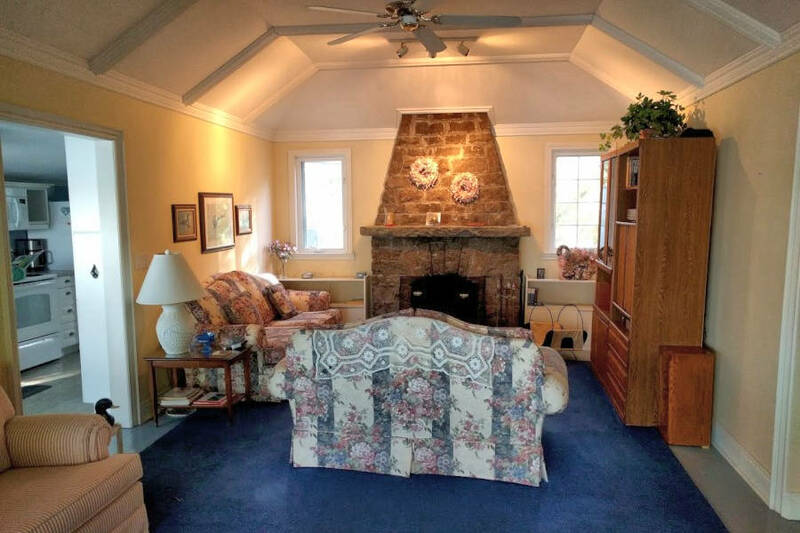 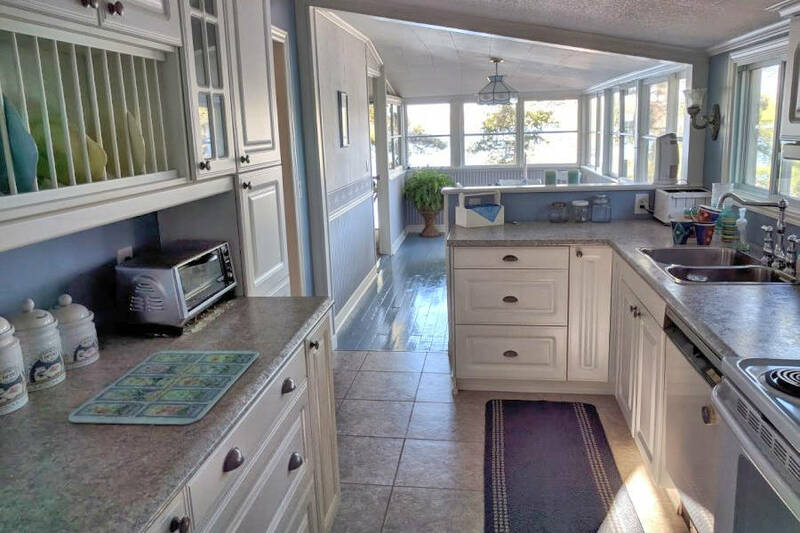 There you'll find plenty of space for exploring both inside and out - a large eat in kitchen, just waiting for big breakfasts and board games, a cozy family room and screened in porch for sharing stories and relaxing while you look out over the lake and bay. 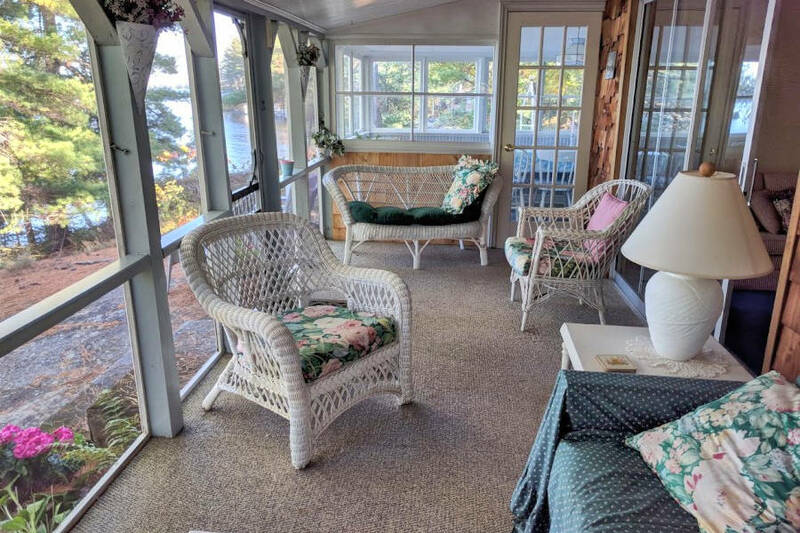 Enjoy the brand new deck off the spacious master bedroom, overlooking the water with your morning coffee or afternoon cocktails. 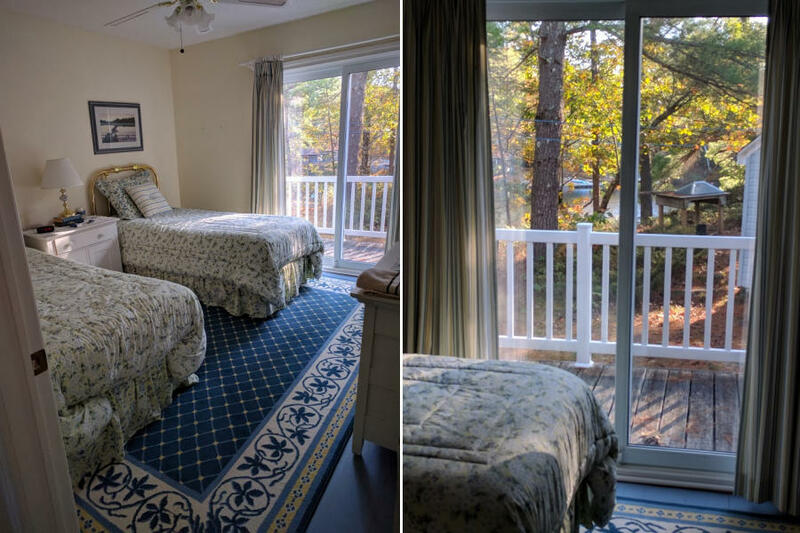 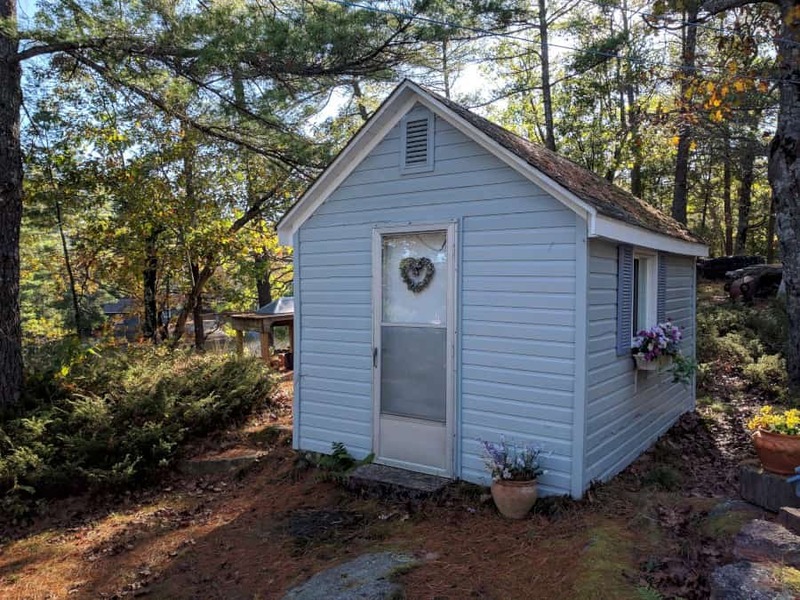 With 1.5 bathrooms, two more beds in the second bedroom and sleeping for an additional 2 guests in the Bunkie, there is space to spread out and enjoy the peaceful sounds of the ducks and wildlife. 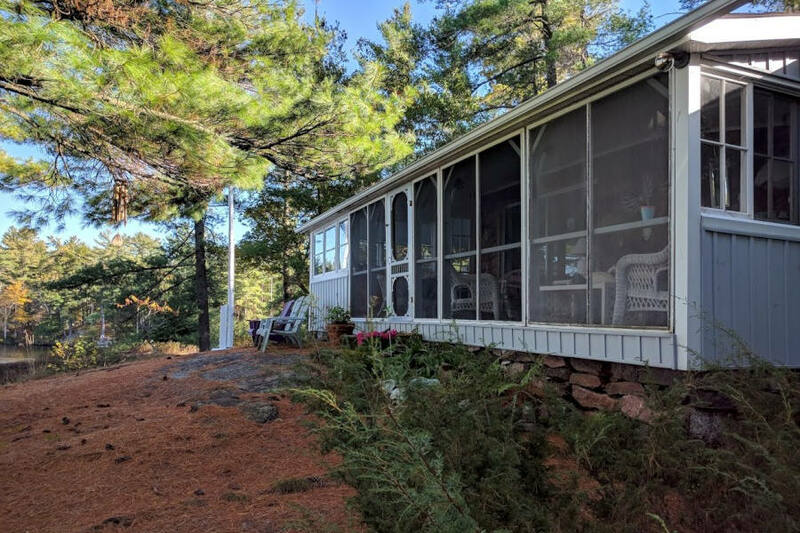 With unlimited wifi, you can choose to keep up on current events and social media or embrace the media-less property, without distraction. 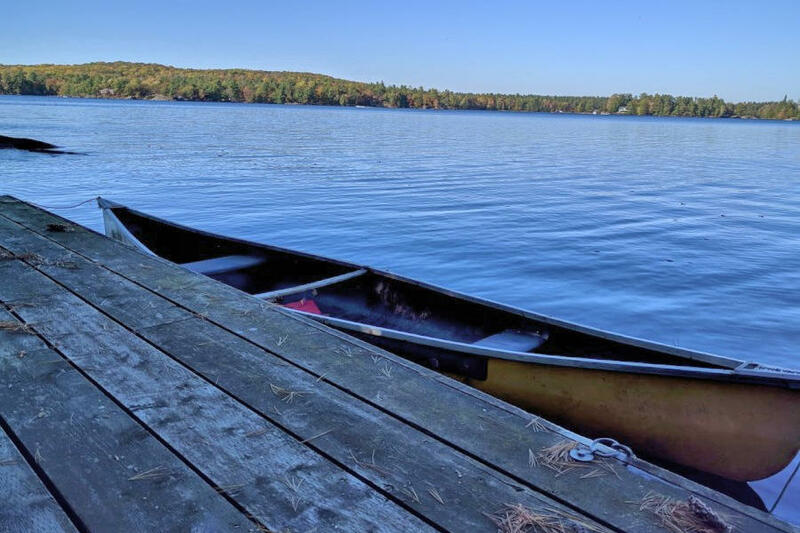 Looking for a day trip or a few hours in the local hot spots? 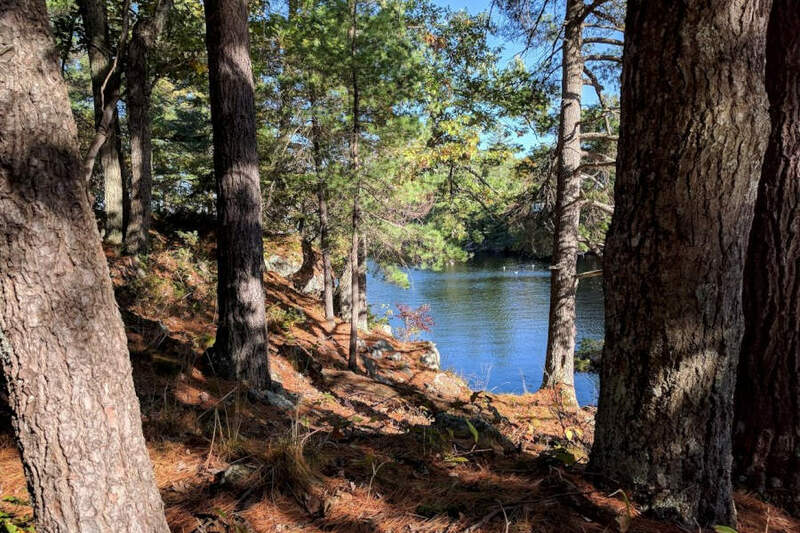 Picturesque Lakefield is only a 20 minute drive with Peterborough, 40 minutes away. 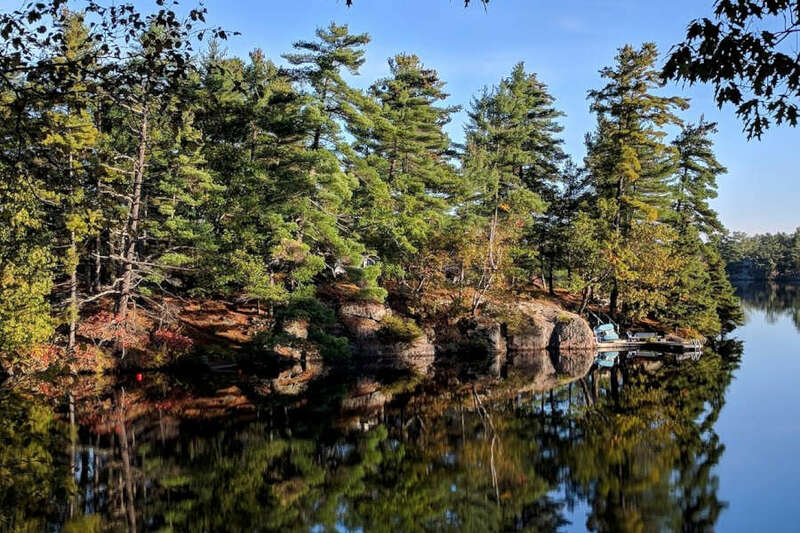 Enjoy a drive around Stoney Lake and take in Petroglyphs Provincial Park, stop for lunch in Burleigh Falls, watch the boats at Youngs Point and sit by the water in Lakefield and enjoy home made ice- cream....and that's just an idea for one day! 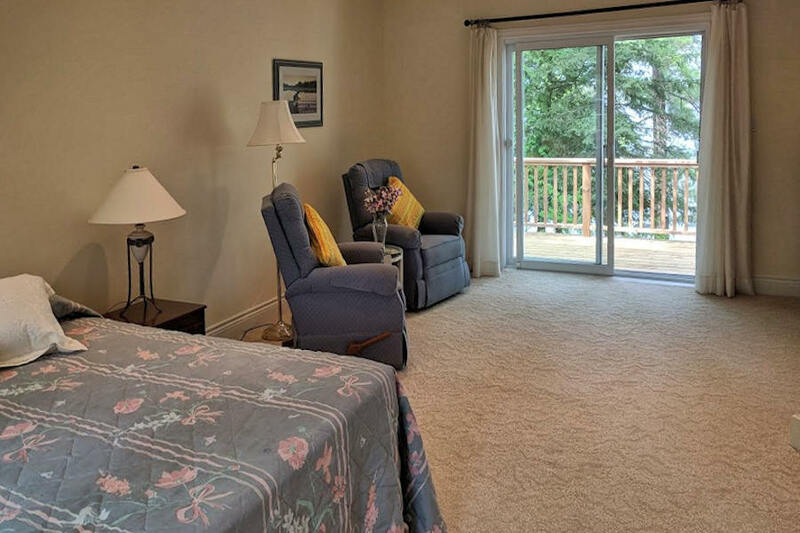 Try out the golf courses in the area too, there are several to choose from. 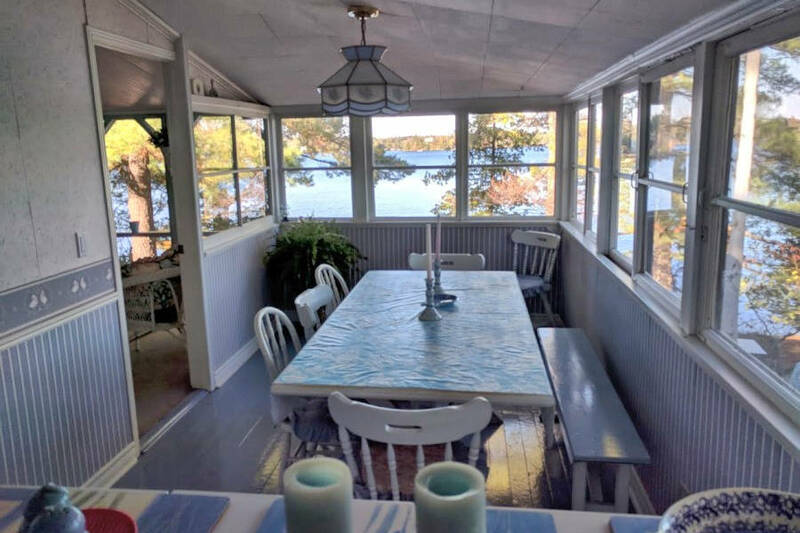 You can even take a cruise on Stoney Lake or take your own boat to check out the Stoney Lake Market and Grill or Harbour Town Lantern Restaurant and Bakery. 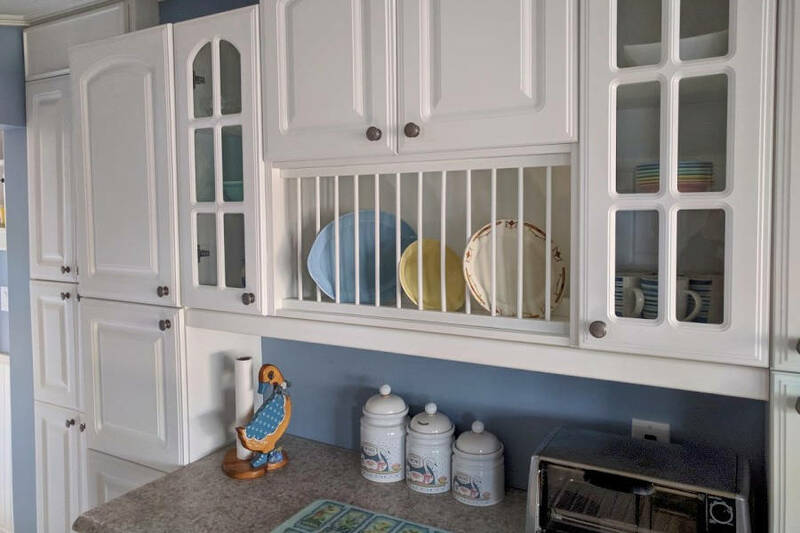 Hunter-Greene Point is a wonderful private space for families to reconnect and enjoy quality time together, without the typical day-to-day distractions. 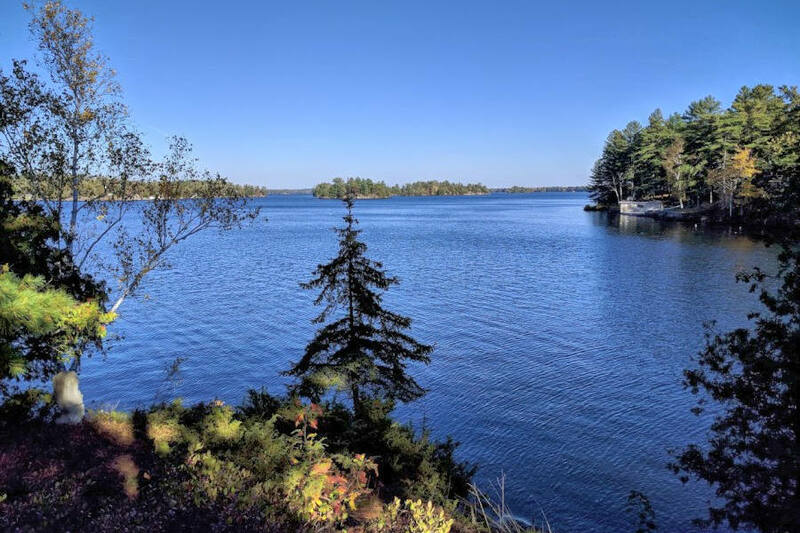 At the water's edge, you will find two docks with a rocky shoreline that is quick to drop off into deep, clean and clear water, perfect for swimming in the main lake or bay. 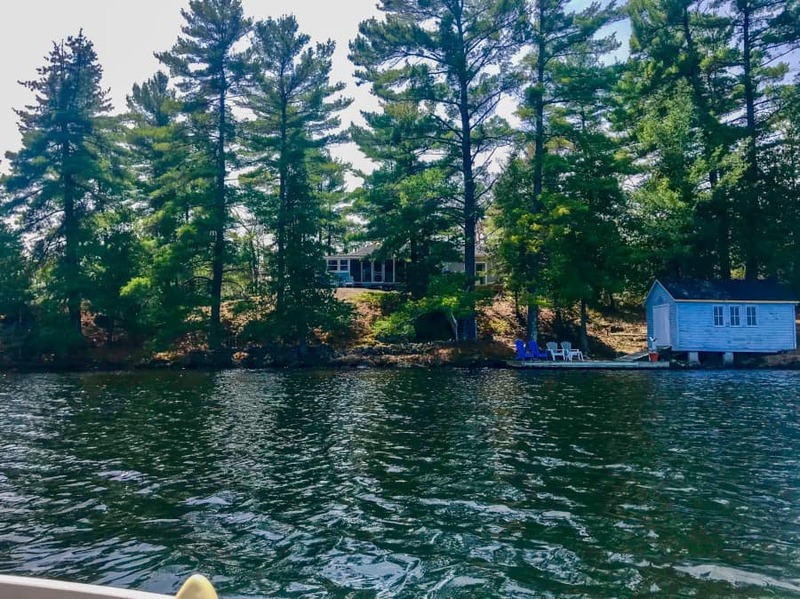 Of course you'll need to bring along your own boat or a rental one to access the island.